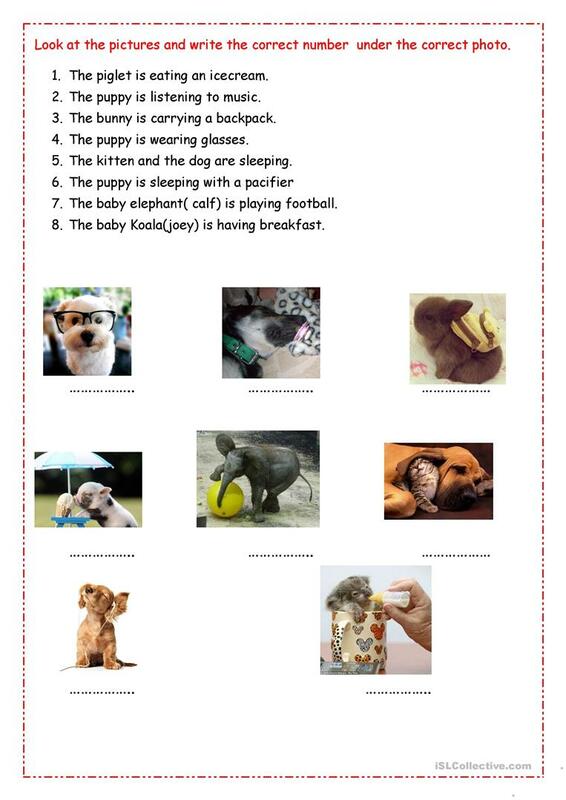 Sts have to look at the pictures and write the correct number under the correct photo. The above printable, downloadable handout is meant for high school students, elementary school students and students with special educational needs, learning difficulties, e.g. dyslexia at Beginner (pre-A1), Elementary (A1) and Pre-intermediate (A2) level. It is useful for improving your groups' Spelling, Speaking, Reading and Writing skills.